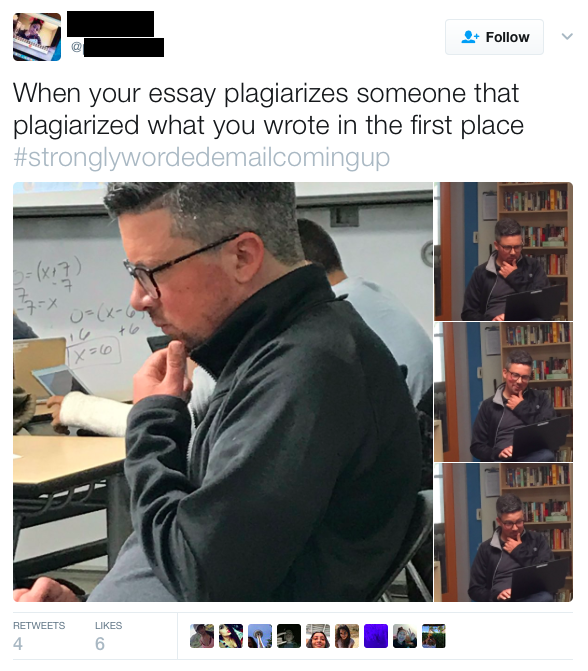 I demonstrated Turnitin.com to my students by submitting a draft chapter I was writing for a book about project-based learning. This wasn't a great move: the submission lit up like a Christmas tree with incidents of "plagiarism" - most of it was self-plagiarism, because I had copied chunks of previous work into the doc to use as guides. But a few lines all came from a South African education website, all from a post about project-based learning. The lines all looked familiar - I double-checked, and sure enough, they all appeared in the book I wrote in 2012, Work that Matters: The Teacher's Guide to Project-based Learning. I did this sleuthing during class, while my students were posting their own papers on Turnitin, waiting for their results, and comparing scores. I was looking at a post from Schoolnet SA, and I recognized some of the material in it from Work that Matters: The Teacher's Guide to Project-based Learning, which I wrote for the Innovation Unit in 2012 (for example, in the list of essential questions, and the information about check-ins). Work that Matters is a free resource, and it's great to see it being used around the world. I also know it's been used in lots of other resources, not always with credit, so it's entirely possible that you've never seen it before! I'd be grateful if you could acknowledge as a source on the page. Thanks so much for writing and apologies for not replying sooner. Thanks for pointing out the resource Work that Matters: The Teacher's Guide to Project-based Learning. What a superb booklet - your writing ability is excellent. I don't recall seeing the booklet before but I wrote the post a few years back. I apologise profusely for not acknowledging your resource (or the resource where I took it from). How embarrassing! I have now acknowledged your resource, hopefully in the appropriate places. Thank you very much for pointing this out so pleasantly. The page in question has been updated. So, happy ending!